Greetings in the matchless name of Jesus Christ. Thank you for joining me and Ever Increasing Faith Ministries on the World-Wide Web. 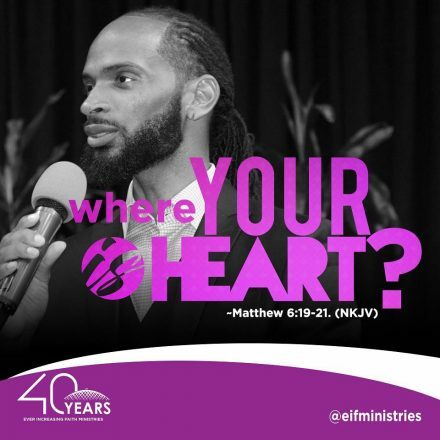 It is exciting to be able to minister to you through this vast information network. My hope is that our Website will be a valuable tool in bringing you ever closer to the Lord Jesus Christ. Know that you do not need a Minister to pray for you to be certain God hears your prayer. James 5:16 says the fervent prayer of a righteous man avails much. A righteous man is anyone who has received Jesus Christ as personal Lord and Savior. If you have not yet accepted Jesus, then Romans 10:9-10 is the first step you need to take to be assured God hears your prayers. Romans 10:9-10 says that if you confess with your mouth the Lord Jesus and believe in your heart that God has raised Him from the dead, you will be saved. For with the heart one believes unto righteousness, and with the mouth confession is made unto salvation. I urge you to fight the good fight of faith by developing your personal relationship with the Lord through spending time in prayer, praise and worship, and the reading of His Word on a consistent basis. God longs to fellowship with you. And like a good father, He wants you to come directly to Him with all your needs. This is why He tells us to go boldly to His throne of grace to obtain mercy and find grace to help in time of need (Hebrews 4:16). If you have a challenge believing God hears and desires to answer your prayers, I recommend you study what the Scriptures say about righteousness, as well as read the accompanying article. 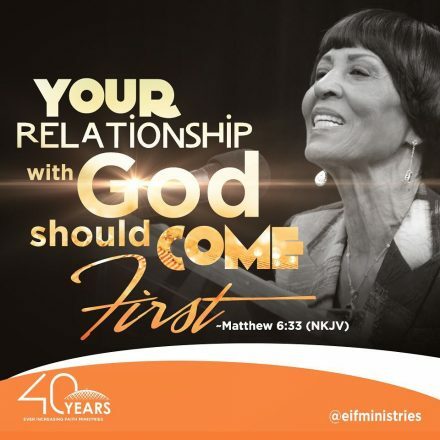 This will help you see what it really means to have a personal relationship with God through His Son, Jesus Christ. This understanding will empower you to act and stand on God’s Word. Having others pray for you is fine and certainly biblical, but it is much more rewarding to obtain God’s blessings on your own. I cannot begin to express how fulfilling and liberating it is to be dependent solely upon the Lord. It is truly an honor and privilege to contribute to your spiritual growth in the Lord. Know that I am in agreement for all your needs being met that are consistent with a godly lifestyle, but my desire is that you learn how to Walk by faith and not by sight! If you have a special need, I want to take this opportunity to encourage you to fight the good fight of faith. God’s Word is true and will work for you. Acts 10:34 says God shows no partiality; He simply honors His Word. Since God’s Word works for me, I know it can work for you! Healing is provided in the redemptive work of Christ and is available to every Believer. There shall be a bodily resurrection of the just and of the unjust. In water baptism, and observance of the Lord’s Supper. Adopt lifestyles of integrity that are above reproach, and minister by precept and example as born-again, Spirit-filled believers. Instruct so that people rise from burned-out hopes and faulty lifestyles to enjoy the privileges and promises God has for us through Jesus Christ. Teach the precepts of faith to the Body of Christ through media, schools and other ministries. Crenshaw Christian Center (CCC) was founded by Dr. Frederick K.C. Price in 1973 with some 300 members. Membership currently numbers over 28,000. Eight years before establishing CCC, Dr. Price pastured West Washington Community Church, a small church in Los Angeles, under the auspices of the Christian and Missionary Alliance. Because of a lack of positive results in his life and ministry, he grew dissatisfied with his personal spiritual development, so he searched for a more fruitful Christian experience. This led to his being baptized with the Holy Spirit according to Acts 2:4 on February 28, 1970. Shortly after this experience, Dr. Price came into contact with the Bible teaching ministry of Kenneth E. Hagin. He grew in the knowledge and reality of God’s Word and began teaching the faith message. As Dr. Price and his congregation grew in the operation of faith and continually acted upon the Word, signs followed. One of those signs was a steady growth in church membership. Eventually, the building on Washington Boulevard (which seated only 158 persons comfortably) became too small for the growing congregation. Dr. Price followed through with a plan the Lord shared with him about establishing a new church independent of denominational ties. The ideal facilities were found at 9550 Crenshaw Boulevard in the city of Inglewood, a suburb of Los Angeles. 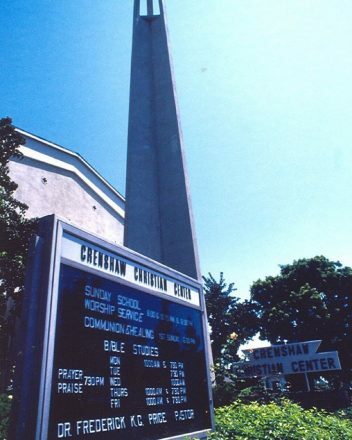 On that site, Crenshaw Christian Center was founded. On November 26, 1973, the 300-member assembly held its first service. Pastor Price continued his ministry of the Word and fully applied the principles of faith. In order to accommodate the growing congregation of people desiring to receive the Word and experience the move of the Holy Spirit, in 1977 the 1,400 seat church was forced to go to two services, and later three. Overflow rooms with closed-circuit television were also used, and the lines of people coming to service continued to grow. The multitudes at the door were not the only sign of increase. In April 1978, after being on radio several times a week for a number of years, the missionary outreach arm of CCC, Ever Increasing Faith, began televising the faith message locally. Eventually, the telecasts expanded to five major U.S. cities in an effort to reach Black America. Just as Apostle Paul never lost sight of his Jewish brethren, Dr. Price desired to reach his Black brethren with the Word of Faith and prosperity that is in Christ Jesus through television and radio. With an average of 5,500 persons participating in three services each Sunday, an expanding television, radio, book and tape ministry, the church again needed larger facilities. In 1981, it purchased the 32 acre former campus of Pepperdine University, primarily for the construction of a 10,000 seat sanctuary. In 1984, CCC moved to this location and groundbreaking for the new sanctuary took place in 1986. The building was completed in the fall of 1989. The sanctuary, the FaithDome, is a geodesic dome (one of the largest in the world) used for Sunday services, special meetings, conventions and crusades. Other activities, including mid-week Bible studies are held on the grounds of CCC. The Apostle Frederick Price Ministry Training Institute (AFPMTI) which was first established in 1985 and includes a Correspondence School program, founded in 1994, also hold their classes on the grounds. In 1990, Dr. Price founded the Fellowship of Inner-City Word of Faith Ministries (FICWFM) (renamed to Fellowship of International Christian Word of Faith Ministries ) was created to foster and spread the faith message among independent ministries located in the urban, metropolitan areas of the U.S. It fulfills another part of Dr. Price’s vision“ namely, to assist inner-city and international ministries overcome the challenges they encounter in their congregations and in their daily walk. Crenshaw Christian Center employs more than 180 people within 14 distinct divisions, and includes a pre-school, elementary, middle and high school. There are sixteen Helps Ministry auxiliaries and organizations with approximately 1799 volunteer workers assist Pastor Frederick Price, Jr., who was installed by his father in 2009, and his staff of six ministers in serving the congregation, visitors and an outreach jail ministry.